Often, it is believed orthodontics only offers cosmetic benefits. It is no secret properly aligned teeth look better, but did you know it also improves other areas of your life as well? Misaligned teeth are difficult to clean due to overcrowding. This increases your risk of tooth decay and gum disease. By moving them into their correct positions, it makes it easier to brush and floss to keep your smile healthy. Misaligned teeth also have a higher risk of suffering an injury. When the teeth are rotated or protrude, they take the brunt of the force when there is an impact to your face or mouth. This can lead to a dental emergency from a broken, dislodged, or knocked-out tooth. Besides promoting your oral health, you also improve your self-esteem. Research shows how you feel about your smile directly impacts your confidence. If you do not like how your teeth look, it is easy to feel limited in social and career settings because you feel judged. By correcting the appearance of your teeth, you can ensure your smile says the right thing about you. Invisalign has quickly become the preferred orthodontic system for teens and adults because it is nearly invisible. The aligners are clear and removable to create a convenient, discreet treatment. On average, it takes about 12 months to finish your series; however, the duration of it depends on how many aligners are needed. This also influences the cost. The starting price for regular braces is about $2,500, whereas Invisalign is about $3,500. 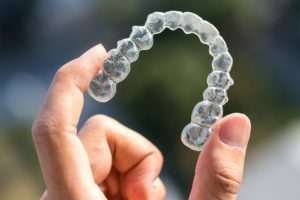 While it may cost more, the aligners are well worth it for the added benefits you receive that are not possible with traditional braces. To lower the amount you need to pay out-of-pocket, you may be able to use your dental insurance. In addition, your dentist in Medfield works with third-party financing, like CareCredit, to help you get the smile you want. Now, you can get the smile of your dreams without brackets and wires. Make an investment in your confidence today with Invisalign. Dr. David Hirshfield provides comprehensive dental care to help his patients achieve healthy, beautiful smiles. He offers the services you need to keep your teeth and gums healthy while also creating the solutions you need to improve aesthetics. If you are interested in Invisalign, contact our office today to see if it is right for you.